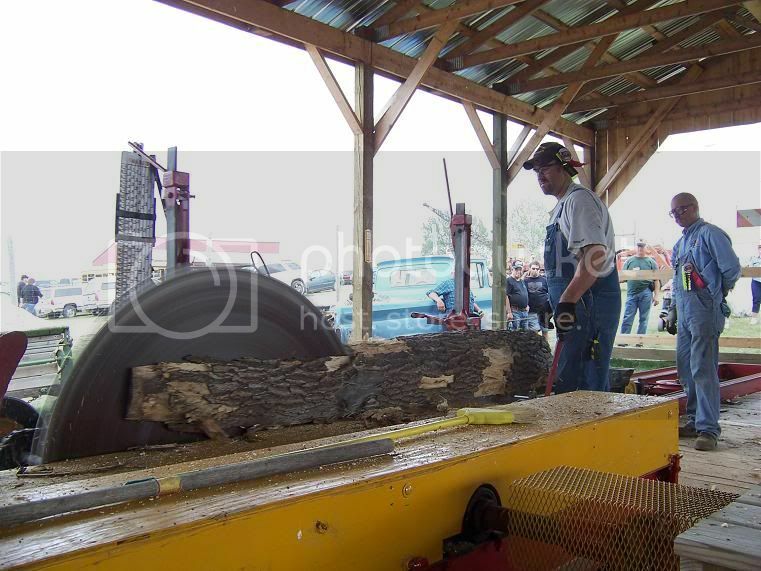 Discussion in 'Larson Sawmill' started by cjmlarson, Sep 24, 2012. 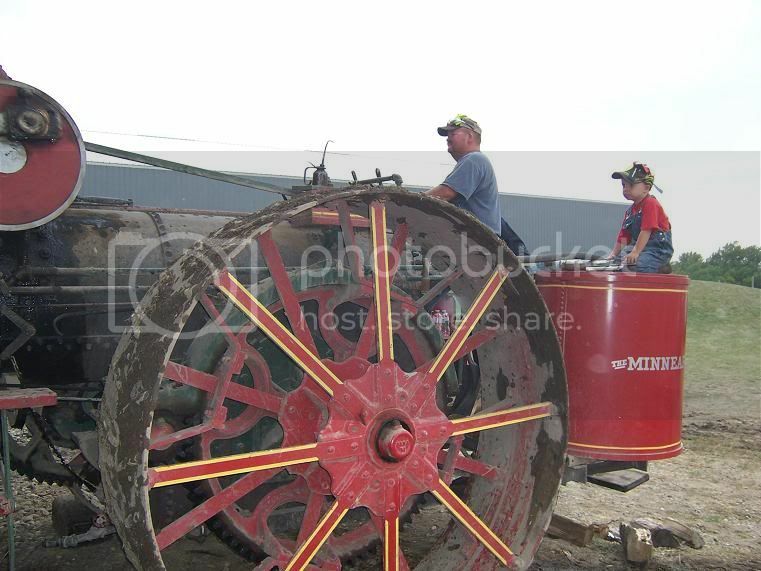 We did not get pictures of every engine that was on the mill this year, but we will post some of what we have. 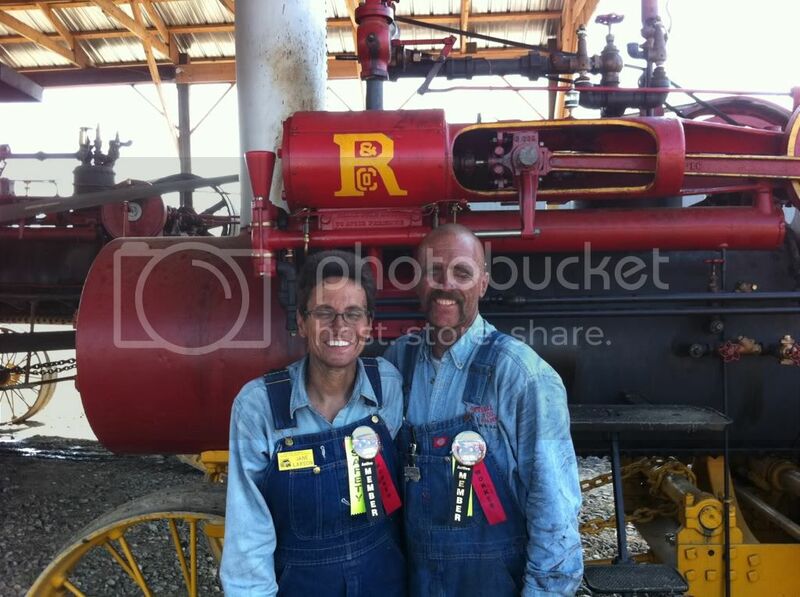 If anyone has pictures that were taken at the mill this year, please feel free to post them here. Hopefully later this fall, we will attempt to get a couple of video clips on here also. 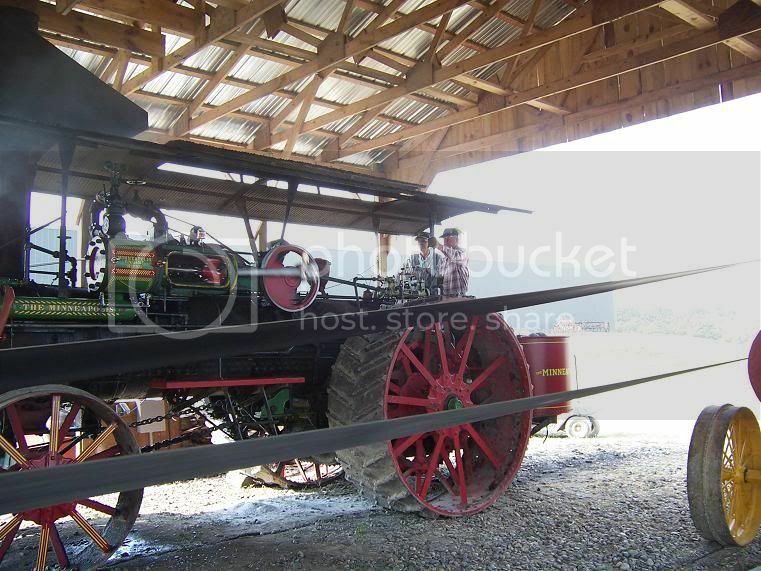 Edin's engine with Doc Parker and Fred operating. Dillon's 16 Advance operating with the 16 Russell. 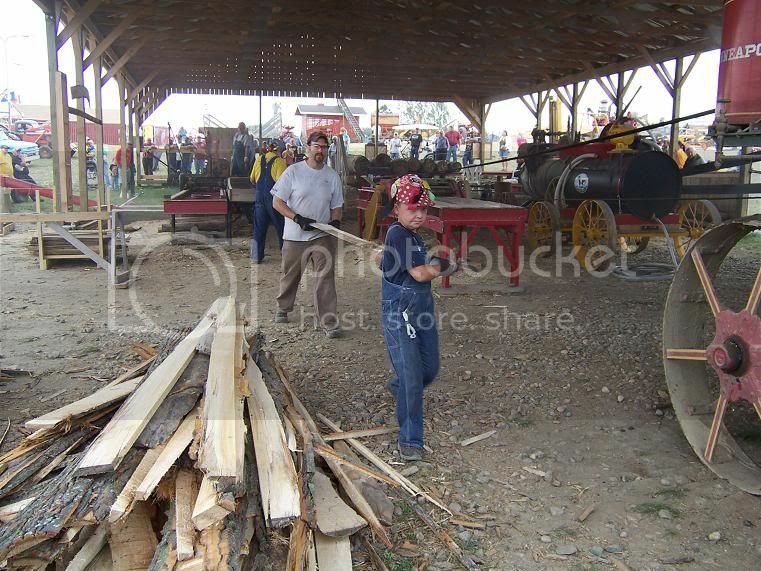 Josh and Rick turning a log on the carriage. In this picture the sawyer is none other than Josh "DangerBoy" Doxey. You notice that I'm standing back a little due to the "DangerBoy" part!! 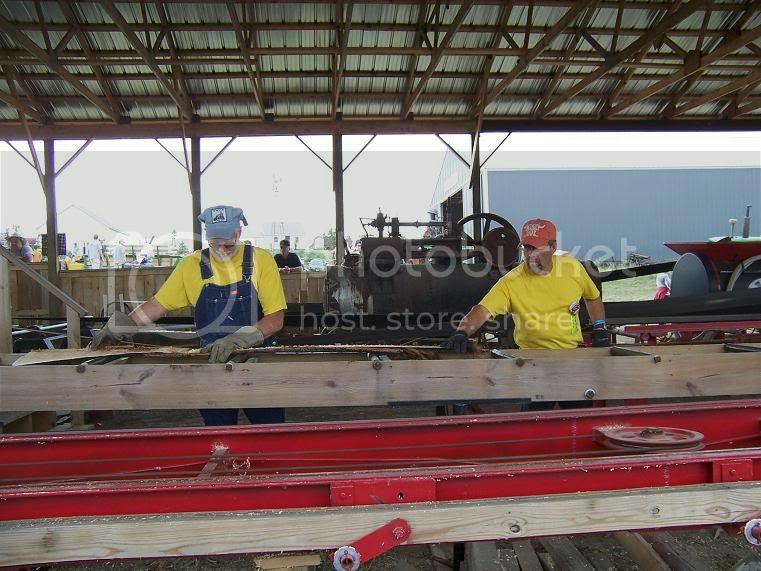 Tim and Pete removing lumber from the outfeed rolls. On Sunday afternoon there was an 'Osten Invasion' at the sawmill. Andrew brought the 22 Minneapolis and Noah brought his 28, and their entourage followed them down. I hope they had a good time because we certainly did! Andrew and Murphy on the 22. 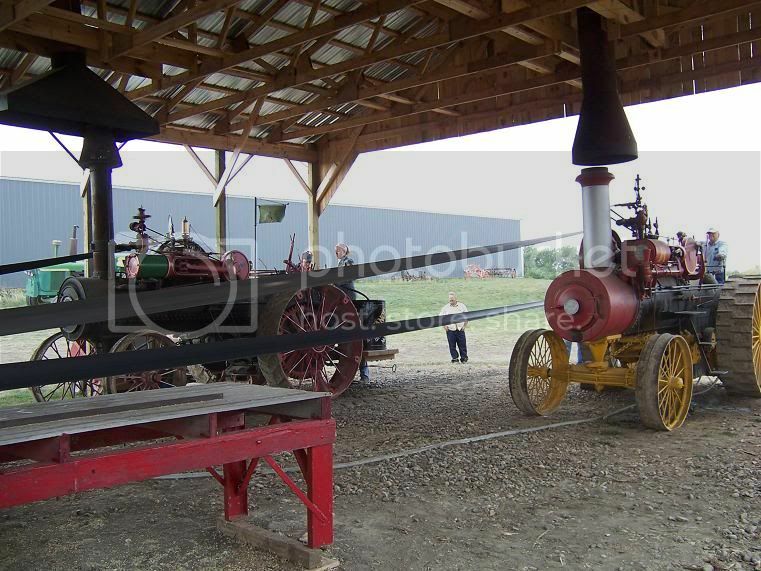 Along with having the engines on the sawmill, they also provided some much needed help to haul slabwood. 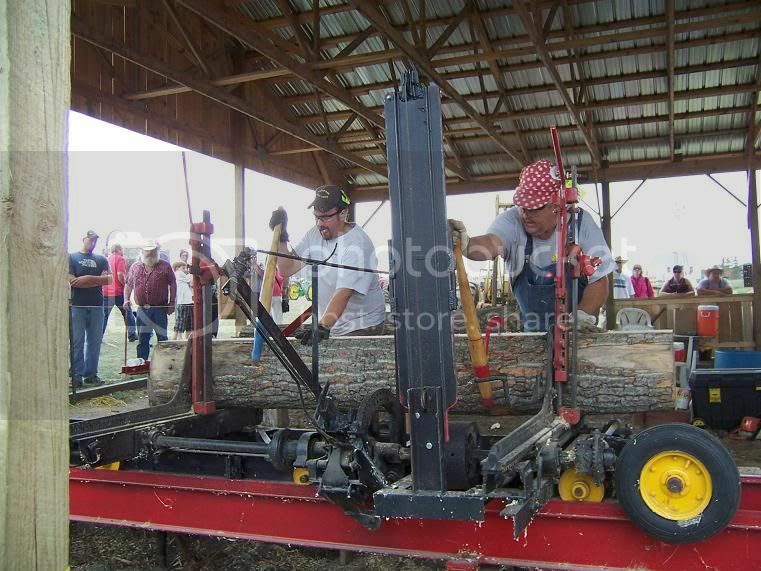 Here is Simon helping Josh carry the slabwood away from the mill. We're thinking after a couple of years, Simon is going to need a sombrero for all of the pins and buttons on his hat! 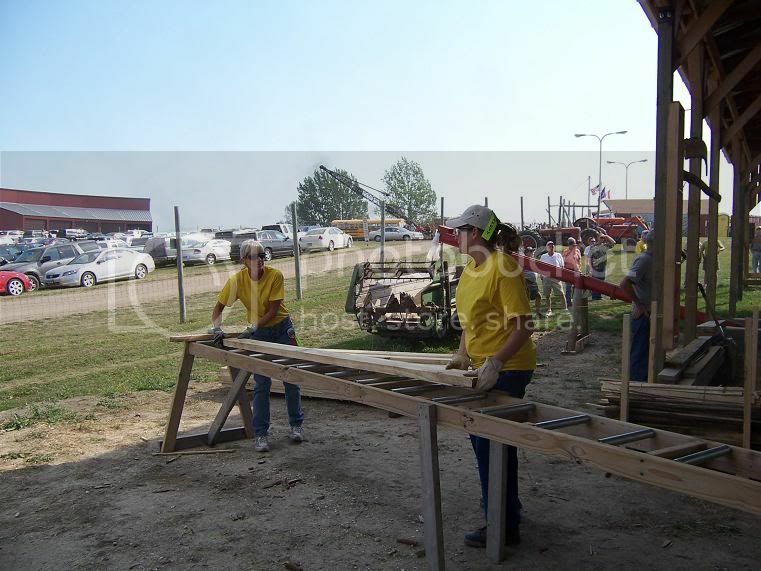 Donna L and Amy M are helping stack lumber. Just a warning to everyone out there: this is what happens when you get on the wrong side of Darren Gunderson!! Darren, we have learned...this will not happen again. Here is a picture of the crew on Friday. Sorry, we did not get pictures of the crew later in the weekend, so not everyone is pictured in this thread. Everyone that showed up was a great help and very much appreciated! We continually pick up new workers every year, and hopefully this will continue. We had a very successful weekend with very few breakdowns. Again thanks to all that helped. We couldn't do this without your help. Yes I know I have to attone for the extra cleanup you guys had to do that night. At least people knew you were working that day!. Yes I am sure that mistake will not happen again, no matter which way the wind is blowing. 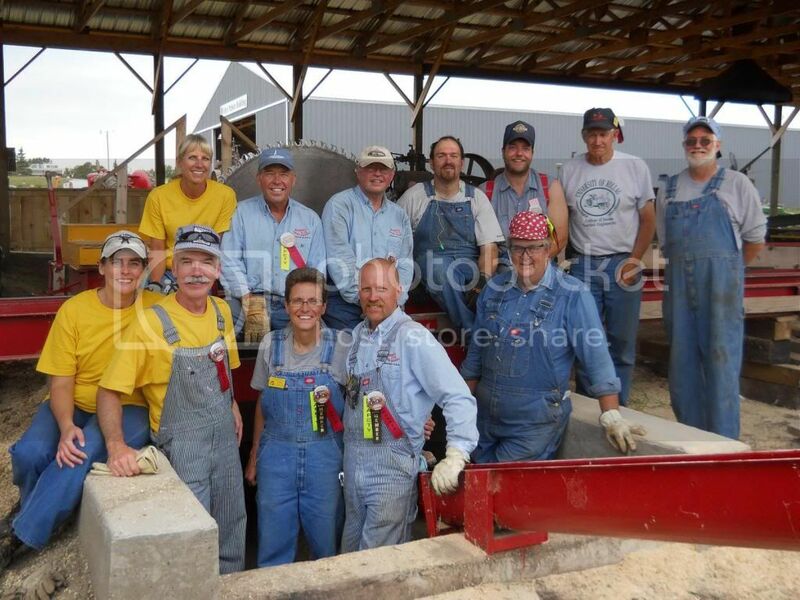 We did have a good time on the mill again this year. Looking forward to next year already. Simon was a big help thanks bud! Thanks again to Clayton and Jane for all there hard work. The crew was great to work with everyone is so friendly and hard workers. Ps thanks again for the opportunity for the handle. I'm hoping there will come a day when your hand stays on that handle for more than 10 minutes. I can tell you will do a good job, just as long as we don't hover over your shoulder and stress you out while you're thinking about your next cut. I can see it already...Sawyer Man, not Edger Man! Great looking pictures and crew! Thanks for sharing Jane and Clayton!